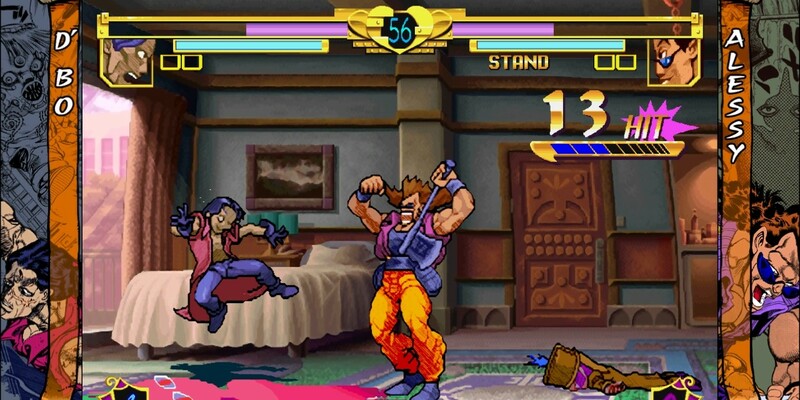 Capcom have today announced that JoJo’s Bizarre Adventure HD Ver, a remastered version of the original title launched in arcades in 1998, will be available to purchase from PlayStation Network on August 21st and XBLA one day later, on the 22nd. 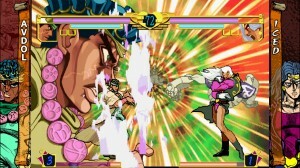 JoJo’s Bizarre Adventure HD Ver, a fighting game based on the popular Japanese manga series, will deliver updated HD visuals and unique, original gameplay mechanics that can be seen today in other Capcom fighting titles. 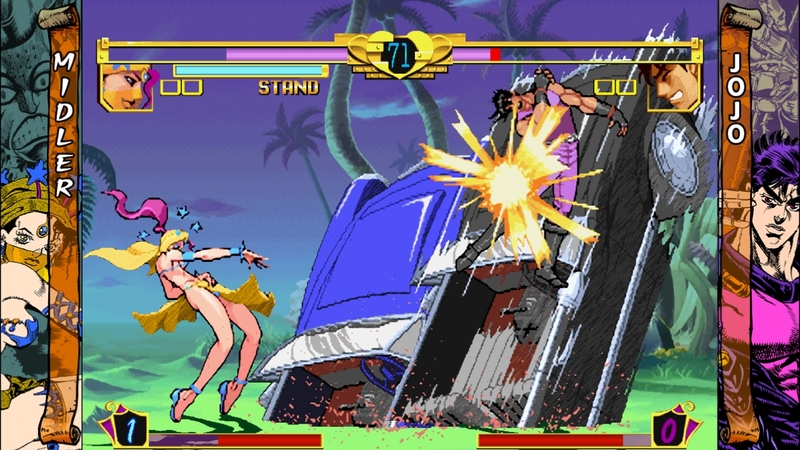 Fans of the series will still be able to enjoy the classic arcade style appearance with an option to play in Arcade SD Mode. Also, for the first time since the original Dreamcast version launched, gamers will have the ability to play against competitors online, in an online matching system reminiscent of Super Street Fighter IV and Marvelvs. Capcom 3. Last but not least, JoJo’s Bizarre Adventure HD Ver introduces an all new multiplayer lobby system where fighters will be able to compete with up to eight players. JoJo’s Bizarre Adventure HD Ver will retail for $19.99 on the PlayStation Network and for 1600 Microsoft Points on the Xbox LIVE Arcade.